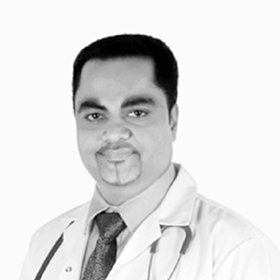 Dr. Hans completed M.B.B.S, M.D (Internal Medicine) from J.J.M Medical College, Davangere, Karnataka, India. He worked in the Pushpagiri Medical College in Thiruvella, Kerala and later on worked in City Hospital Tirur, Kerala and then moved on to Dubai in 2004. Among his special areas of interests are: Diabetes and its prevention, treatment and management, special interest in lifestyle disease and management.